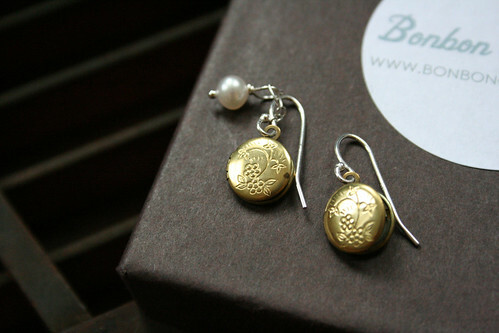 Beautiful locket earrings from Bonbon Oiseau. 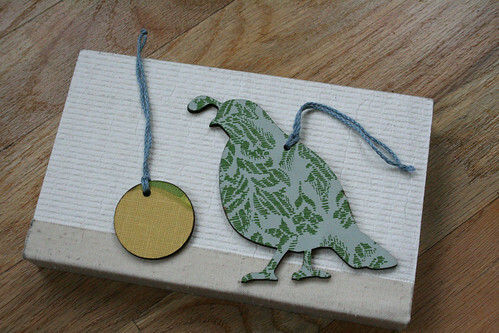 Really cool business card holder and wooden tree ornaments from cool RISD gal Nan Kim, Nan Kim Designs Ltd. 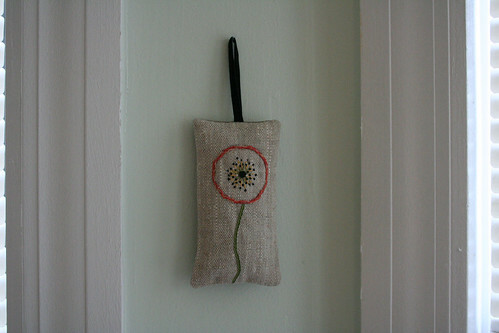 The most beautiful poppy sachet filled with lavendar by Jewelweeds. I could have spent my entire budget at her table, simply gorgeous. 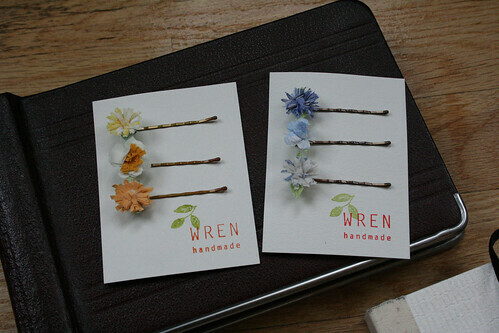 These sweet little hair pins by another favorite, Laura Normandin / Wren Handmade. 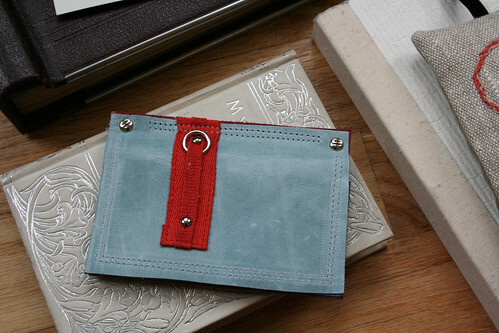 A very lovely bag by Lotta Jansdotter (on the right). The new Wild Unknown calendar. 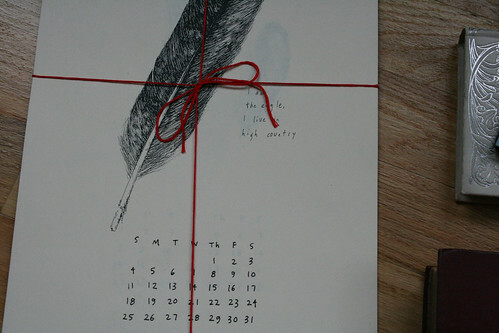 I bought Kim’s rabbits and hawks calendar last year, and now I have her new 2009 feathers calendar. you have some wonderful purchases there! 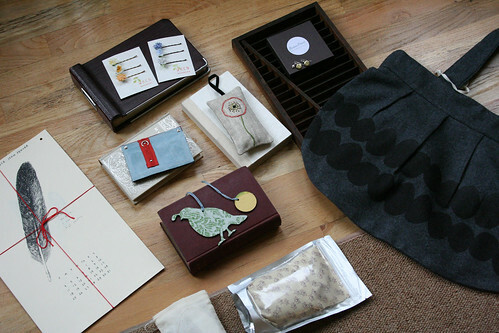 i was able to order a bracelet from bonbon and purchased the same sachet, i also have some of wren’s lovely flowers. there was a vendor who made the prettiest pottery – pale pinks, greens and white with little butterflies, etc. i didn’t purchase the little cup i saw and have regretted it ever since. would you know the name of the person? thanks! it’s a miracle, i just found her – gleena!